This book is a giant leap forward for your patients. Written by a person who lives with chronic pain, readers recognize themselves in these few pages and respond. The techniques and simple examples described, foster an immediate perception of relief. Returning a sense of control in life allows patients to feel better faster and return to a sense of normalcy in their daily life. If you or any of your friends are a member of 'The Chronic Club' this book is for you! Written by the president of his local chapter (aren't we all?) this book will have you saying: "This is me!" This simple, easy to understand approach to relief is effective the first time you read it. As you reread and practice your skills, you continue to get more benefits each time. 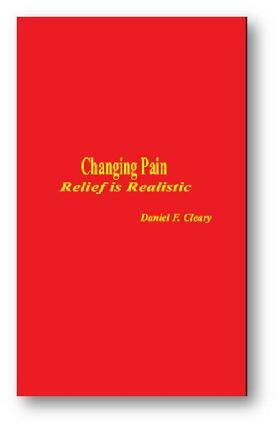 Changing Pain is NOT a substitute for proper medical attention. Be realistic, if you hurt - find out what's happening. Then check out Changing Pain.